Don’t risk losing treasured family photographs and videos! 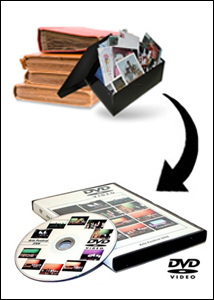 Archive your photographs & slides to CD or DVD to treasure those moments for generations to come. Archiving your photos and videos are a great way to ensure their protection, share with family and friends, and create duplications for others to enjoy. In order to get the highest quality backup, learn more about our expert scanning services. Preserve those irreplaceable home videos by bringing them in and converting to DVD. Converting from VHS to DVD will allow you to always relive those old memories in a modern format, which is easy to duplicate and share with others.